Cloud accounting solutions. Tax returns, VAT, RCT and payroll. 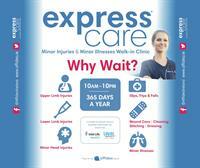 As proud members of Fingal Chamber, Affidea Ireland would like to offer a new 10% account discount for businesses and sports clubs in the locality associated with the Chamber, towards ExpressCare Minor Injuries & Illnesses Walk-In Clinic in Tallaght, open 10am-10pm, 365 days a year, and opening May 2019 in Santry. 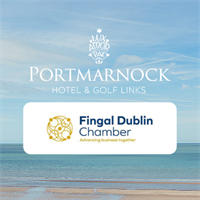 Portmarnock's Summer Deal for Fingal Dublin Chamber members! Two upgraded breaks, upgraded lunch offering, all for only €16.00 per person when you book a meeting in Portmarnock Hotel & Golf Links during the months of July & August.